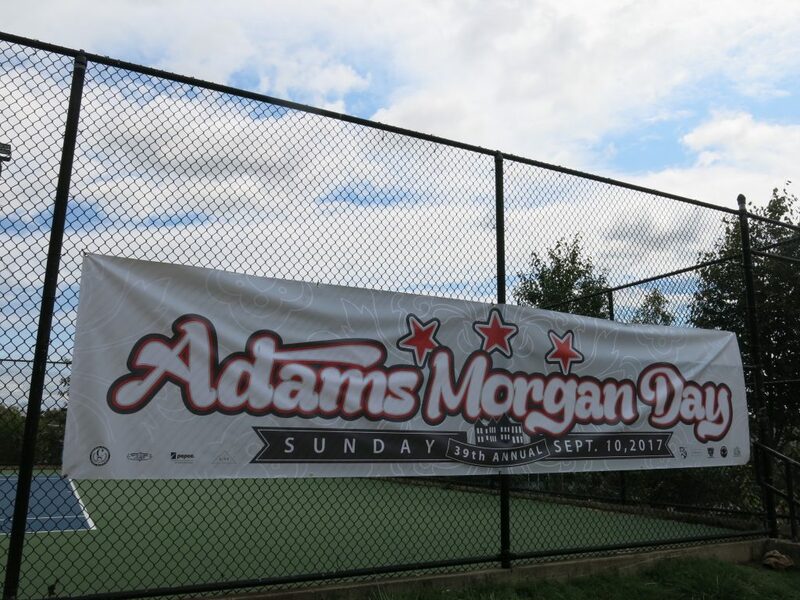 PoPville » Adams Morgan Day is Sunday!! JOIN US FOR our all-volunteer, grassroots celebration of Adams Morgan’s eclectic history, culture, businesses, and residents at ADAMS MORGAN DAY 2017 on Sunday, September 10. Check out the full line up here and below. All are free, unless otherwise indicated. Kids and families will draw what they love about Adams Morgan with art supplies, on a wall covered with butcher paper. Kids will take selfies at a list of locations in the Adams Morgan Neighborhood and receive a prize for successful completion of the scavenger hunt. · Hear Mayor Bowser speak at the Columbia Rd Stage (at 18th Street & Columbia Rd.) at 12:55 p.m.
· Check out the new playground at Marie Reed and learn about their renovation, staff and PTA members will answer questions from 12:00 p.m. to 2:00 p.m.
· Corn Hole and Connect 4 competitions downstairs at Songbyrd, every hour winners will get called for free records and other swag.